With just four months to go to the World Cup, the issue of counterfeiting and piracy in the sports industry is taking centre stage at a major conference organised by the Office for Harmonization in the Internal Market (OHIM) and Europol. The sports industry and related activities contribute EUR 294 billion to the EU´s GDP every year and supports over 4.5 million jobs across Europe. Counterfeiting of sports articles and piracy of sport intellectual property (IP) rights are also bringing substantial illegal benefits to criminal networks. 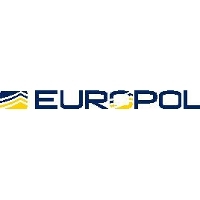 To support tackling IP crimes in sports, OHIM through the European Observatory on Infringements of Intellectual Property Rights, and Europol are gathering experts from sports companies, experienced investigators and enforcement officers from across the EU and abroad in Alicante, from 26 to 28 March 2014. Major European and international authorities, notably including the Brazilian National Council on Combating Piracy, the European Commission, as well as the World Intellectual Property Organisation and the World Customs Organisation, will be represented at the event. Paul Maier, Director of the Observatory said: “Great sporting events like the World Cup are enjoyed by fans all round the world. However, such events also attract illegal activities such as the counterfeiting of products destined to fans and followers as well as the illegal retransmissions of images. Therefore we need to bring the public and private sector together to try to stamp out IP infringements in sport. Through our own research in the Observatory we know that IP-rights intensive industries, of which the sporting industry is a part, create nearly a third of all EU jobs and contribute over a third of the EU’s GDP. Events like this one – and the upcoming International IP Enforcement Summit co-hosted by the UK Government and the European Commission, to be held in London in June – are fundamental in building strategies to combat counterfeiting and piracy at a global level”.